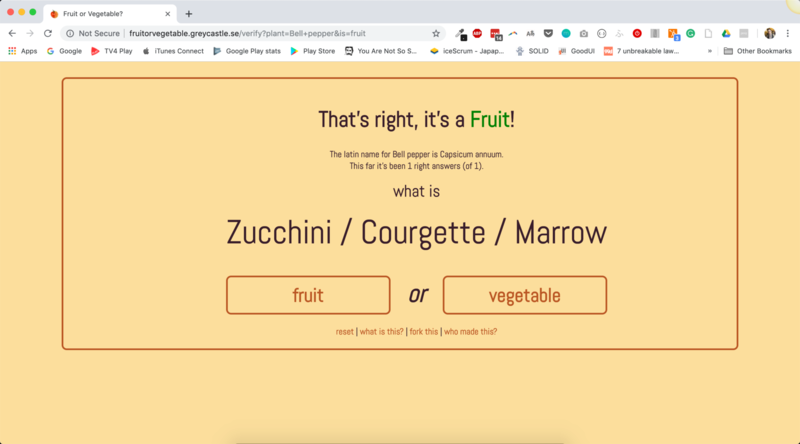 In order to prove the disbelievers wrong and make a game out of it, I put together this site to let you guess whether or not tomato (and the other fruits belong to the one or other category. It’s a very small, simple site. In 2018 I was out backpacking Asia. I found I really wanted something lightweight to help me keep track of all the different currencies. That, plus, being a past-Londoner, Swedish, dating a Japanese and a citizen of a world run by dollars, I figured I could do with something that converts not just between X and Y. XE converter and others does this of course. But, I had now found a good project to learn how to build apps. Also, I found that there’s too few examples of full apps written in Flutter out there so I figured I would build something people can draw inspiration from.